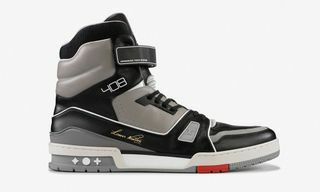 One thousand six hundred bucks is a lot to spend on anything, let alone a pair of sneakers. 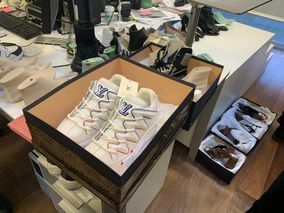 But that’s the retail price of the high-top LV 408 Trainer from Virgil Abloh’s Spring/Summer 2019 Louis Vuitton men’s collection. 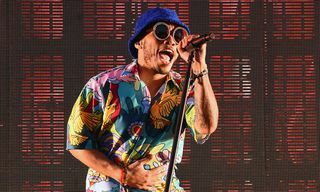 It has drawn ire not just for its exorbitant price tag, but also for its similarities to the Avia 880, a 1988 basketball shoe worn by Scottie Pippen and Clyde Drexler. 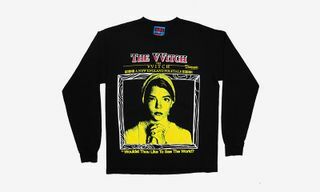 It isn’t the first time luxury labels have tapped classic sportswear silhouettes for inspiration, nor will it be the last. 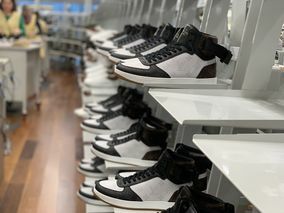 Phoebe Philo-era Céline had its Air Force 1 homage, Hedi Slimane made the Air Jordan 1-esque SL/10H at Saint Laurent, and Maison Margiela has the Replica, an upscale reinterpretation of the German Army Trainer. 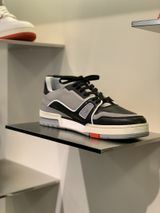 More recently, Dior under Kim Jones has given us the B23, a Chuck Taylor-inspired sneaker made of technical canvas with a patchwork sole. 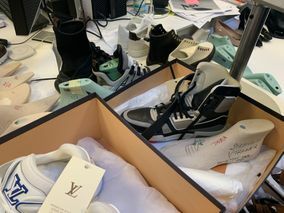 Beyond the high price and designer label, luxury sneakers are different because of how they’re made and their scarcity. 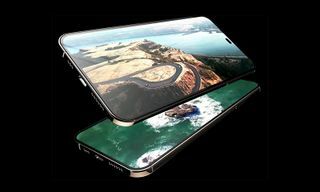 They aren’t meant to compete with the function-driven goods of sportswear giants like Nike and adidas. 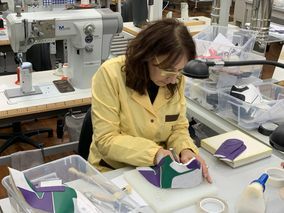 Rather, what these sneakers speak to is that je ne sais quoi driving the luxury market in general — an aspirational appeal and the decades of craftsmanship inherent to storied fashion houses. 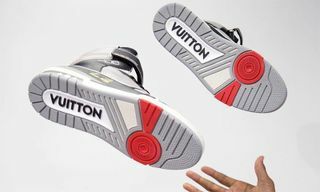 We recently published a piece about how luxury sneakers and their fast-fashion facsimiles share aesthetic similarities. 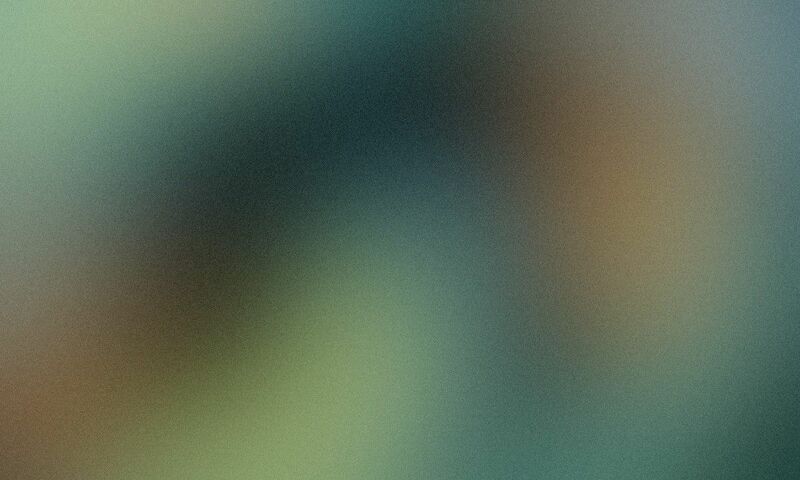 And when looking at photos on the internet, the differences can seem marginal. 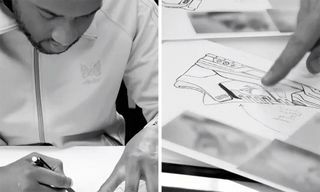 But in person, the details and quality of luxury sneakers become self-evident. The thousand-year-old Italian town of Fiesso d’Artico is a short drive from Venice and part of a series of towns and villages on the Riviera del Brenta, situated along a canal that offers some of Italy’s richest views and famed for a long-standing tradition of artisanal shoemaking. 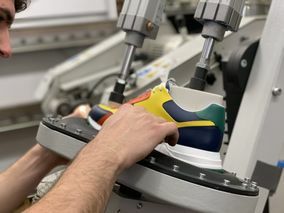 Fiesso and towns such as Vigonovo, Vigonza, Saonara, Noventa Padovana, and Fossò are home to the bulk of the world’s luxury footwear production. The Brenta canal’s footwear manufacturing history traces back to the 13th century, when Venetian cobblers, the calegheri, established a school dedicated to the craft. 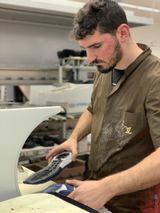 When wealthy families started spending summers along the Brenta, the calegheri followed the money, establishing a shoemaking tradition in the area that has endured for centuries. 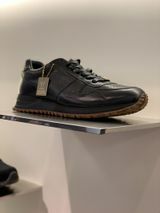 Louis Vuitton’s Manufacture de Souliers (“shoe factory” in French) in Fiesso combines that tradition with modernity in numerous ways. First, there’s the building, designed by architect Jean-Marc Sandrolini in 2009. The 14,000-square-meter space resembles a cement shoebox from the outside, revealing next to nothing about the goings-on within. The first hint is right at the entrance, where visitors are greeted by a giant white heel designed by Jean-Jacques Ory and featuring Botticelli’s The Birth of Venus inside. 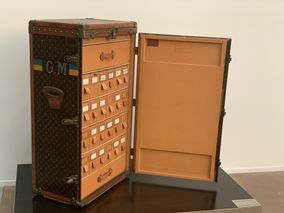 The lobby contains references to Louis Vuitton’s heritage making trunks and dedication to craftsmanship. A custom trunk from 1909 is swung open, revealing individual compartments to house 24 pairs of shoes. 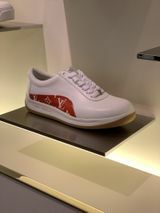 The center of the complex features a garden with yet more shoe-themed art and there’s a gallery showing off signature Louis Vuitton footwear through the years. Included are recent additions such as the daring Archlight silhouette, whose curved sole makes the shoe look almost distorted. 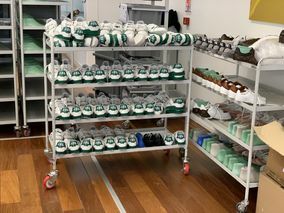 Also present are all the shoes from Abloh’s debut collection and some unexpected surprises such as the footwear from the brand’s Supreme collaboration. 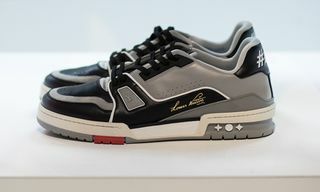 The Supreme linkup was important to the factory because it built awareness of the house’s Run Away model, a simple runner that debuted in 2014 and remains one of Louis Vuitton’s most popular sneakers. 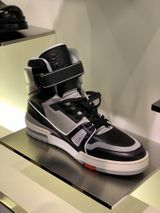 A trail-soled version is part of Abloh’s latest collection, coming in four colorways and retailing for $1,020, along with an optional $340 gaiter that can be worn atop. 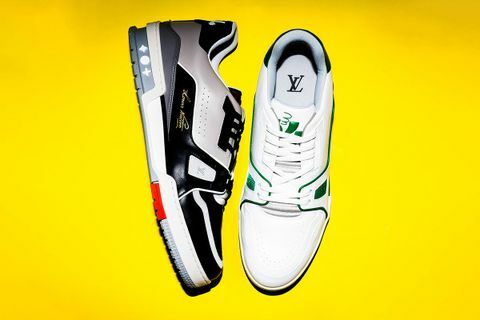 Louis Vuitton has chosen this silhouette for its Now Yours program, a customization service that lets clients design the shoe of their dreams. 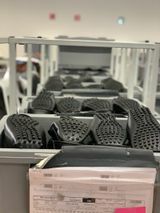 According to the factory’s artisans, there are more than 300 different options for the outsole alone. Couple that with the ability to choose materials from monogrammed canvas to crocodile leather, and the combinations seem endless — and very pricey. 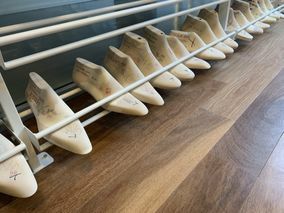 The factory is divided into four distinct workshops: “Alma” for women’s shoes like heels; “Speedy” for sneakers; “Nomade,” an entire workshop dedicated to car shoes; and “Taiga” for elegant men’s shoes and leather goods like belts (it’s also where the sneakers are soled). 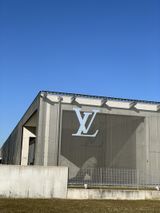 There’s also a warehouse, appropriately named after Louis Vuitton’s Neverfull bag. Louis Vuitton calls its artisan heritage “savoir-faire.” Translated from French, it literally means “to know how to do.” Inside the Fiesso d’Artico factory, every worker trains for years to hone his or her respective craft. It’s far from the stereotypical notion of factory workers pumping out mass quantities of product for poverty pay. The artisans we meet are proud of their work, unionized, and have comfortable lives outside of shoemaking. One started following me on Instagram and his personal feed is full of ski trips, recreational photography, and high-end DJ equipment. 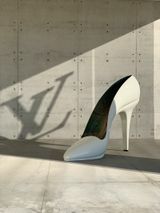 The modernity allows Louis Vuitton to pair centuries-old methods of making things with current technology. 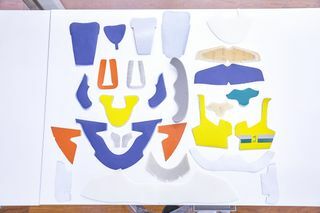 Gigi, an artisan who oversees the building’s massive archive of lasts, explains how the team still starts with a wooden prototype, which is scanned into a 3D CAD model with all the information necessary to adjust the measurements of existing silhouettes. 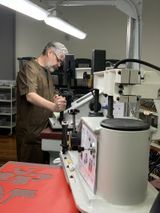 “We’re also using technology to improve this job, to work faster and with more precision, and to have all the information we need to scale up,” he says. 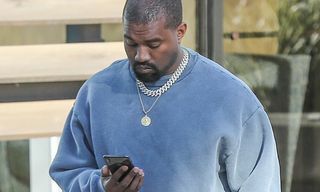 These methods mean the team needs only a few hours to make a sample shoe, even sneakers like the Archlight and Abloh’s recent offerings, which include several sneakers, a few formal shoes, and wheat-colored hiking boots. The artisans are able to leverage their traditional shoemaking experience even when it comes to more casual footwear. 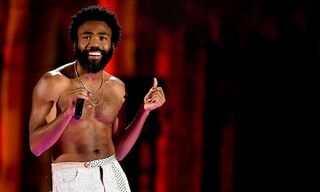 When working with a designer like Abloh, they first have to satisfy his expectations for the final product, before figuring out which proportions and measurements work best as they apply them to different sizes. That means the wooden lasts inform a mold, accommodating parts like a footbed, padding, and outsoles. 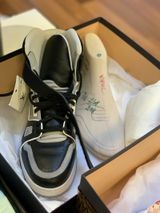 Abloh recently posted about his LV 408 Trainers on Instagram, noting how each sneaker comprises 106 components, with 20 in the sole. 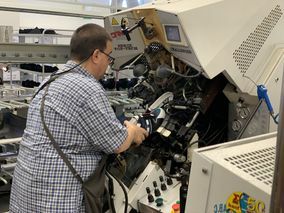 Getting a firsthand look at how these luxe sneakers are manufactured shows the passion behind the process. Meeting the artisans who craft them and witnessing their meticulous skills in person reinforces the high-end provenance of a house like Louis Vuitton. 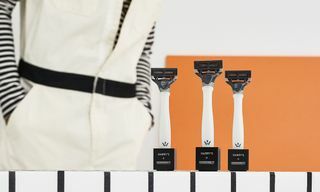 From raw materials to end product, down to the painstaking way the shoes are boxed (complete with orange care manual), the shoes carry a sense of soul and heritage that no fast-fashion knockoff can touch. 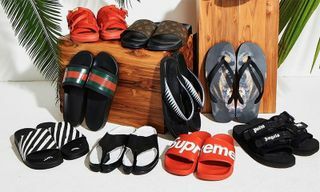 As for who the shoes are for, it’s a cross-section of elevated sneakerheads and connoisseurs who want to buy into the luxury market in a way that reflects their sense of style. 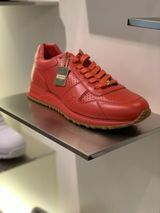 The shoes communicate a sense of status and taste that separates the wearer from their grandparents. 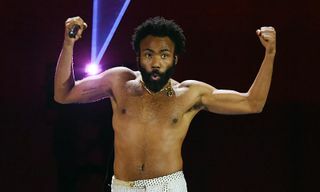 It’s the next step for the kid who wears OFF-WHITE Air Jordan 1s today and then flips them tomorrow to buy something with more drip. 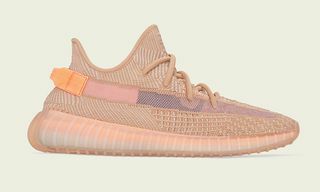 Say what you will about designer sneakers, but for those consumers willing to pay the asking price, outside opinions probably don’t matter anyway.